Do you remember the game Okay? It was produced by Philipp Stollenmayer. Terrific dexterity puzzle app game. 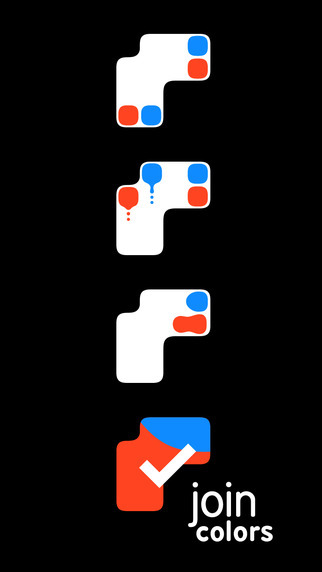 In Squaredance, the objective is join like colors together by swiping everything up/down and right/left. Essentially, Squaredance is a tilt maze but it's got some very interesting elements. 1. If a red square lands in a dashed square, it's stuck there forever. 2. Black x's kill your man. 3. The zebra stripes - once you pass it, it becomes a wall. 4. The white field is your playing area. However, sometimes Your Men, can dig into it and extend it. 5. Some black shapes travel up/down & right/left. Hindering or helping. 6. Look at the last image. See the yellow area with little keyholes? Once the yellows merge, that area disappears. There are 100 levels and they've been crafted with loving care. They're tough! 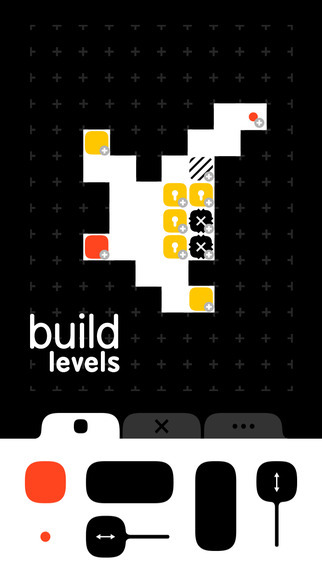 Also, you can build your own levels to challenge your Leaderboard Friends. Did I mention the graphics are great? At the moment I've done about 45 levels.